Intramedullary (IM) nailing is the preferred method for treatment of femoral shaft fractures. However, for the surgical staff and the patients, exposure to large dose of X-rays is inevitable during the procedure. 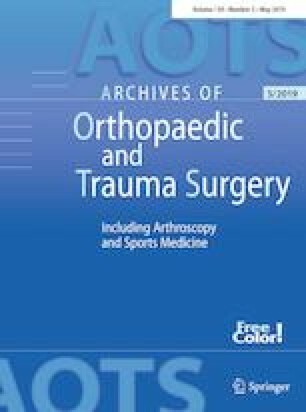 In this paper, a new technique based on ultrasound is proposed to guide the reduction of femoral fractures, reducing radiation exposure. By means of particular continuous transverse and multiplanar longitudinal scanning, the deformity pattern information of the fracture could be efficiently acquired. Adequate reduction could be achieved under the real-time guidance of intraoperative ultrasound. Intraoperative ultrasound can guide the reduction of femoral shaft fracture using IM nailing, and reduce the radiation exposure of medical staff and patients. The online version of this article ( https://doi.org/10.1007/s00402-018-3085-8) contains supplementary material, which is available to authorized users.